Price From £12,495, Road Tax £140, Emission Level Euro6B, Fuel Economy 49.6 mpg combined, Fuel Tank 48 litres, Boot Space 448 litres. 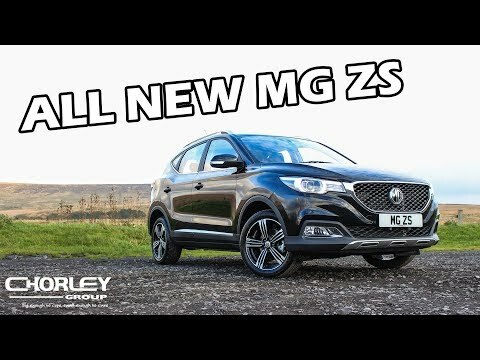 It's here, the MG ZS. 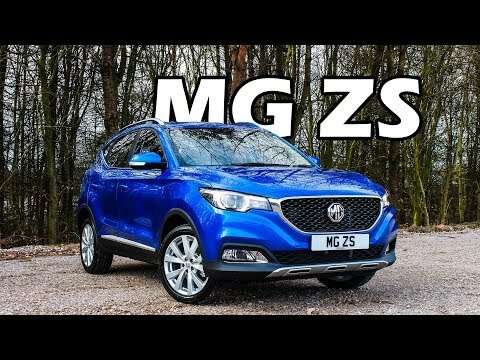 The compact SUV to challenge even the most audacious manufacturers of SUV's in the current market..
An all time first for MG, a vehicle crammed full of value in the form of an SUV to ensure MG keeps competing with the ever changing SUV market. The MG ZS comes equipped with a generous 7 year/80,000 mile warranty to provide you love for the long haul. Generation 1(2017 - present): The latest in line for the MG ZS range is the 2018 model. Previously, there had been other 'MG ZS' vehicles, but not an SUV version, especially on this calibre. The brand new compact vehicle comes equipped with gorgeous features including leather upholstery (Exclusive model), Satellite Navigation to get you smoothly from A to B, colour reversing camera to help with those tight parking spots, Apple Car Play for seamless audio streaming from your mobile device, Google Maps, Metallic paint jobs and 17" Diamond Cut Alloy Wheels (Exclusive model) to keep those heads turning as you drive around time. It's never been easier to finance an MG with Chorley Group. All vehicles can be purchased outright at our current Cash Price offer, however an overwhelming majority opt to finance new cars with a finance agreement, paying monthly for the vehicle over an agreed period. These finance agreements come in a variety of flavours to suit your personal requirements. Explore our range of New MG vehicles online, if you find a vehicle you like you can contact us in a variety of ways. Either through our LiveChat, Online Enquiry Form, Social Media (Facebook, Twitter, Instagram etc), phone or just visit your local Chorley Group. Built to the highest standards in our state-of-the-art factories, we are so confident of the quality and reliability of MG ZS that we give it a 7-year manufacturer’s warranty. Our warranty is fully transferable to future owners and lasts for up to 7 years or 80,000 miles, whichever comes first. So, from day one to the end of your car’s seventh year, you can be sure that MG is right beside you! You can download the brand new MG ZS brochure here to find out more about MG ZS accessories. From the swept back signature headlights that trail down the side of the vehicle, right down to the boot lever, the MG ZS has some beautiful exterior features. MG have placed some really bold colours on this vehicle to make it eye catching, from the solid Arctic White to the Tri-Colour Dynamic Red, each of the metallic & solid colours complement the body of this vehicle to give you that feel good factor and ensure you're turning heads wherever the vehicle may take you. Got luggage? Need expansive room? No problem. The MG ZS comes with a superb 448 litre capacity with the seats up for those shopping bags, and when the seats are down, you'll expand to a vast 1,375 litres to pack those extra big shopping items you wasn't meant to buy but you did anyway! Comfort is a big benefit of this vehicle, with the Exclusive model having the adaptation for leather seats for the ultimate look and feel a premium car should have. In addition, you'll have a leather steering wheel to feed your sense of touch, a gorgeous dashboard layout with multiple ​buttons to feed your sense of sight and the overwhelming orchestra symphony you will feed your sense of hearing with when you hear the ZS power into life and begin to tackle the road. Now, no great vehicle will be able to survive the harsh elements of the world we all live in today without the reassurance of some quality warranty, and that's exactly what you get with the MG ZS. 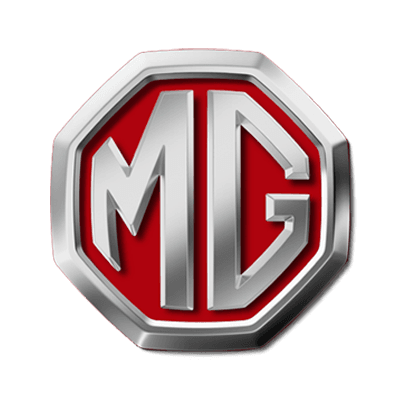 Giving you a generous 7 year/80,000 mile warranty, you are sure to have peace of mind when travelling around the world knowing that your car is being looked over by MG and their fantastic warranty. So kickback, relax, and enjoy the road out in front of you.